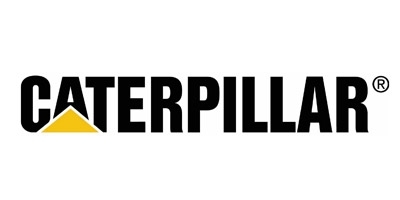 Caterpillar specializes in the manufacturing and sales of heavy equipment. Caterpillar is a Fortune 500 company that operates globally from worldwide offices and is based in Illinois, USA. Provide efficient connectivity and distributed processing for worldwide dealer network. Deliver graphical, ODBC-connectable Windows-based software written for the System/36. Preserve integrity of vital dealer system data. Provide low-risk upgrade path to modern relational database and graphical interface. BABY/36 running on Windows NT Servers supporting 1000’s of users. Open system connectivity for stable RPG code. ODBC access to legacy data allows staged migration to relational database system, graphical presentation to dealer network. Caterpillar was managing their international dealer network VIA AS/400’s, Advanced and System/36’s supporting 1000’s of users in the hundreds of locations. The applications supported dealer operations from order entry to planning, delivery, and invoicing. The IBM Midrange systems helped control these dealer processes. These key applications were stable and mature, but they didn't cover all our current functional requirements. They needed upgrades -with no further support for the System/36 environment from IBM and a dealer network that spanned the globe, we needed a solution from a global company with reliable support. We looked at packages such as SAP, but none fit our business needs. We considered rewriting the existing applications for PC platforms, but we were concerned about the time required, costs, and the risks of errors in the data migration." The result of Caterpillar's analysis: A BABY/36 solution was much faster, avoided the data migration risks, and gave lower total costs than modifying a PC-based product. The choice was INFINITE Corporation. Caterpillar moved to BABY/36 running on Windows servers, deployed globally. Caterpillar also does EDI operations with other Caterpillar operations from an additional Windows Servers. They use INFINITE Software's ODBC drivers to extract messages from RPG files, and then transfer the data using communications code developed by INFINITE Software. Caterpillar went live with the first of two migration steps: Existing code running under BABY/36. INFINITE Corporation managed the conversion. At start-up, performance was slow in certain sorting functions. INFINITE Software traced these to load balancing issues among NT processes and wrote code to correct the problem. Within 90 days, we were seeing fast and reliable performance with the legacy applications. With the migration complete, Caterpillar's next step is to extend their applications. INFINITE Corporation has proposed a component-based-framework approach that will greatly improve connectivity. The INFINITE Corporation solution lets Visual Basic programs call existing RPG components. Caterpillar can keep their mature, tested RPG code while adding Visual Basic extensions for new functionality and a graphical presentation. "The INFINITE Corporation approach also lets us migrate our data to a modern relational database in small pieces, while we access the unmigrated parts using INFINITE Corporation's ODBC capabilities. That gives us time to clean and test the data, which reduces risk." "INFINITE Corporation has worked hard to understand our business needs, they respond quickly and intelligently to our problems, and the level of support is excellent. We're extremely pleased with the relationship."